Most of us dream of making it big someday. Unfortunately for many of those who do happen to attain celebrity status, fame comes at a price. Brigand Haze, singer, emotional wreck and all-round lost girl learns this the hard way when she accidentally discovers that she has a singing talent worth sharing. But her troubled past and unsteady frame of mind soon comes into serious conflict with the pressures of life in the spotlight, also straining her relationship with the charming Rip, a fellow singer. Can she fight off her inner demons without driving away her friends in the process? Or will she surrender to the darkness that lurks in the deepest, most unexplored corners of her mind? 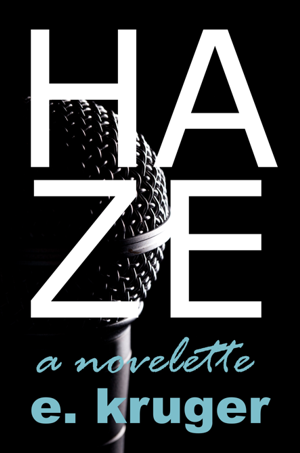 Haze is a short fiction novella that can best be labeled as women’s contemporary fiction, telling the story of a lost soul who became a singer by accident. Her troubled past never ceases to haunt her, and the enormous demands of a life in the limelight causes her to have a somewhat cynical outlook on life, narrated through her own interesting brand of quirky humor, which even sprouts some self-destructing tendencies. But it is also the story of her friends who support her throughout and a love that she feels she might not be deserving of.